Vergennes was Vermont's first city 1788 and bills itself as America's smallest city. The city's name was suggested by Ethan Allen to honor the Comte de Vergennes who served as the French Minister of Foreign Affairs and negotiator of the Treaty of Paris. Vergennes is certainly the state's smallest city only two square miles in size with a population of 2‚700—and one of the prettiest downtowns around. 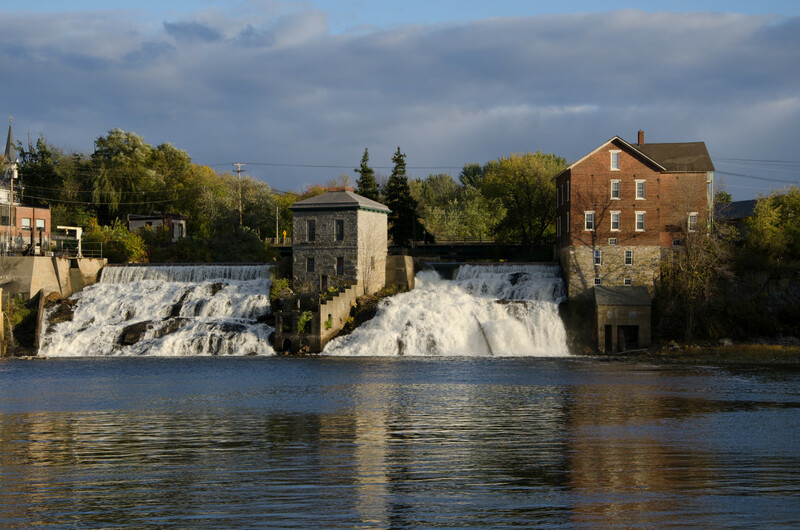 Just west of downtown are the scenic Vergennes Falls where Otter Creek traverses the city and water-powered sawmills once operated. You'll find the elements of both a vital city and neighborly town here. 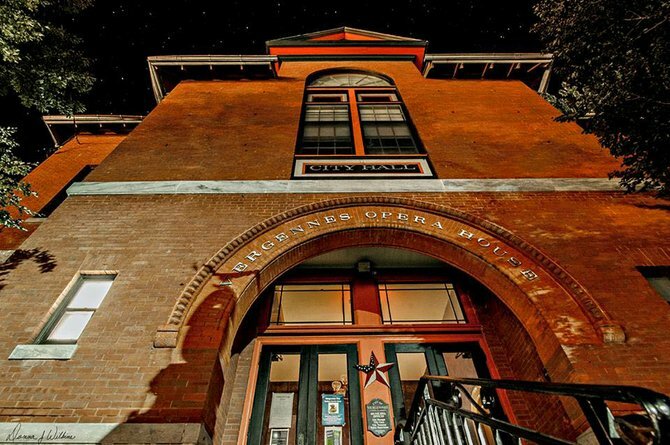 The City Hall and Vergennes Opera House‚ constructed in 1897‚ is still the center of Vergennes' business and cultural life. The beautifully restored‚ acoustically superb Opera House presents a year-round schedule of jazz‚ opera‚ folk‚ classical and theater performances..
City Park‚ in the center of the downtown‚ hosts Monday evening summer band concerts, community festivals such as Vergennes Day in late August, and encourages strolling on a summer's evening. Within the three-block downtown area, traditional businesses mix with the new. Revitalization has attracted eclectic, locally-owned shops and restaurants to become neighbors of deep-rooted Vergennes businesses. Main Street's 150-year old commercial blocks built with local stone and eye-catching window displays entice people to stop and explore. It is a very walkable community, too. 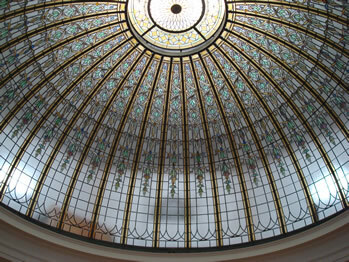 A walk down Main Street brings you by Bixby Library, with its beautiful stained-glass domed ceiling. A detour down the sidewalk-lined side streets takes one past houses that speak of the city's 19th century prosperity. The stately Federal homes, Greek Revival cottages, and Mansard-roofed and bracketed dwellings, feels like stepping back into the Victorian era. Vergennes strives to be a friendly, welcoming place. On your next trip to Vermont why not schedule a trip downtown in our "smallest city." More information about Vergennes can be found on the Vergennes Partnership's website.